more than 30 yearsBonnell Grain Handling Inc.
Doyle Equipment Manufacturing Co. is an innovative leader in worldwide quality dry fertilizer, blending, conveying, tending, and spreading equipment. Waconia Manufacturing, Inc. is a diversified manufacturer of bulk material handling and blending systems. Our design and engineering experience is unparalleled. For over 50 years our material handling and blend systems have set the industry standard in reliability, performance and efficiency! For over 60 years, Murray Equipment, Inc. (MEI) has been the industry leader in the design, manufacture, and distribution of liquid handling solutions. We specialize in crafting innovative solutions for the petroleum, fertilizer, chemical, DEF and industrial markets. Design Tanks fiberglass reinforced plastic (FRP) tanks are in use in a wide range of industries across the world. The unique characteristics of fiberglass tanks make them an excellent option in a multitude of applications — from agriculture to waste water treatment. Meridian Manufacturing Inc. is all about solving industry issues with technology and a commitment to the highest quality. We help you move and store the commodities that drive your industry. 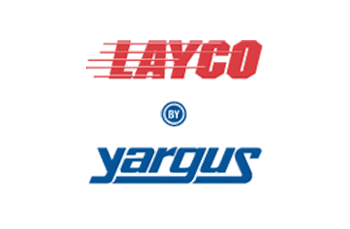 Yargus Manufacturing is a leader in the fertilizer equipment and material handling equipment industry. Yargus is a full-service manufacturer, with experienced engineering and design, production, installation, sales, transporation, and technical assitance personnel to serve you. Bonnell Grain Handling is currently accepting applications for Part-time/Seasonal employees. All applicants must present a valid driver’s license when turning in their application. You can print the form from our website or pick one up at our office during regular business hours. Please no phone calls and all applicants must pass a drug screening. Please send all applications to bghi@bonnellgrain.com. Download application here. © Copyright 2016 Bonnell Grain Handling, INC. All Rights Reserved.